Stock status is current as of 4/26/2019 3:48 AMET. Connect your RS-232 device and wirelessly communicate with another Bluetooth enabled device using IOGEAR's Bluetooth Serial Adapter. This Class 1 Bluetooth device transmits and receives data up to 330ft (100m) when connected to another Class 1 Bluetooth device, and eliminates the need for cables and additional software. 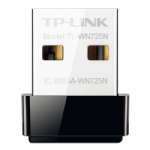 The adapter also features Bluetooth 2.0 with Enhanced Data Rate (EDR) allowing for faster data transfer. The Bluetooth Serial Adapter supports baud rates between 9600 and 921600. Settings such as Stop Bit, Parity Bit, Security and Hardware Flow Control can also be configured using the device's configuration tool. 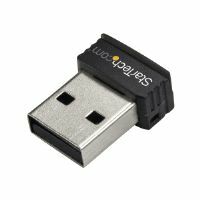 Additionally, the adapter offers COM port interface support to connect DCE or DTE devices and enable Master or Slave modes. 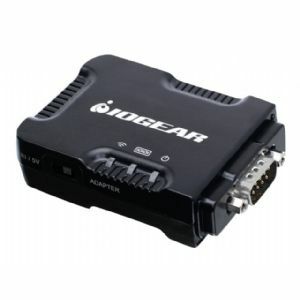 IOGEAR's Bluetooth Serial Adapter is ideal for Bluetooth enabled devices such as barcode scanners, point-of-sale terminals, printers, and a wide variety of RS-232 peripherals. The adapter also has applications for industrial environments, medical test equipment, programmable automotive ignition systems and equipment monitoring.